Back in 2012, 38 Studios put out Kingdoms of Amalur: Reckoning, an epic role-playing game (RPG for short) which was well-received by both players and critics alike. What came after, though, left many people speechless, as 38 Studios imploded when it failed to honour its obligations to the US state of Rhode Island, which up to that point had been supporting the studio with a massive amount of cash. 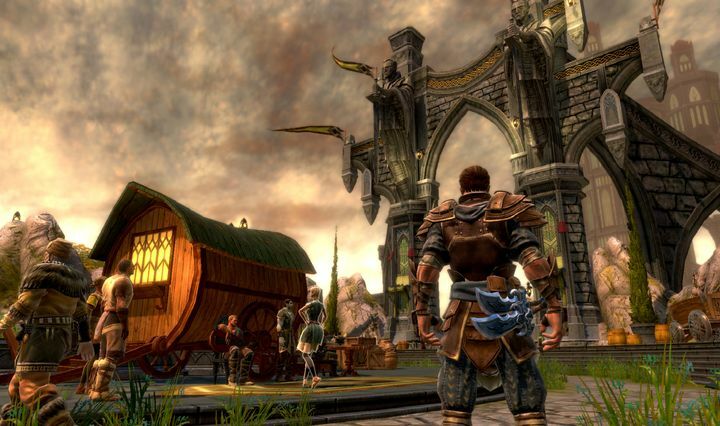 Nonetheless, Kingdoms of Amalur: Reckoning is still a fine RPG in the mould of classic like The Elder Scrolls IV: Oblivion, even if it’s clear not that many people have gotten a chance to play this epic role-playing game set in a colourful fantasy world yet. Thankfully, though, Xbox One gamers will now get a chance to play Amalur and find out what all the fuss is about as the game is now backwards compatible on Microsoft’s current-gen console as Major Nelson recently announced on Twitter. Aside from Kingdoms of Amalur: Reckoning, two other games have recently been added to the Xbox One’s backwards compatibility roster. One is Sonic Unleashed, a 2008 Sonic game praised for its high-speed gameplay and high-quality environments. The other is Aliens vs Predator, a frenetic first-person shooter released in 2010 which is actually one of the few decent games to feature Aliens in it, and which is now playable on the Xbox One. Those familiar with the Xbox One’s backwards compatibility feature know the drill by now: if you own any of these games, all you’ve got to do is pop in the disc in the drive in order to get playing. Meanwhile, owners of a digital edition of either Kingdoms of Amalur: Reckoning, Sonic Unleashed or Aliens vs Predator just need to head to the Xbox One’s “Ready to Download” section in order to start a download. These games are also available for purchase from Microsoft’s online store too. What’s clear, though, is that it’s been a great year for backwards compatibility, and it would no doubt be a great thing if Microsoft kept adding new games to the Xbox One’s backwards compatibility list in 2019 and beyond.